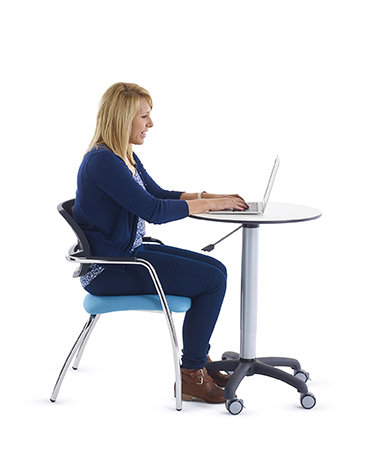 Movable & height adjustable table to enable teaching from anywhere in the room using a wireless keyboard and mouse. 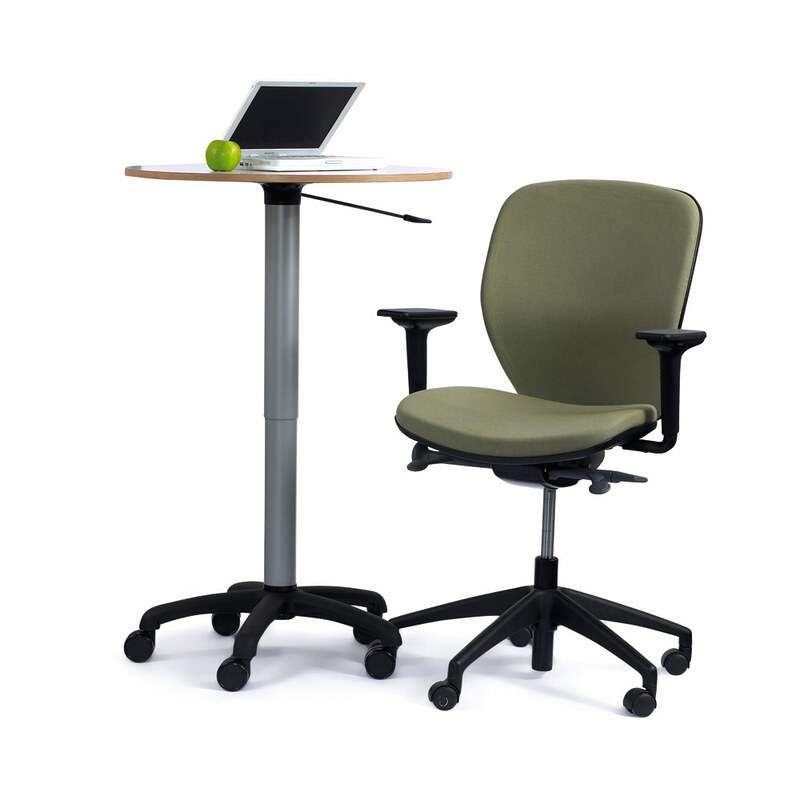 The Sit/Stand table can be adjusted from 78>122H by just pushing the lever at the side. So you can drop the table to sitting height and add in a chair, or lift it up to standing height to present more formally. 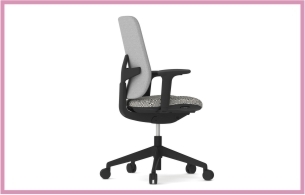 The wheels mean that you are not restricted to one teaching position and you can move your teaching space as your classroom changes. 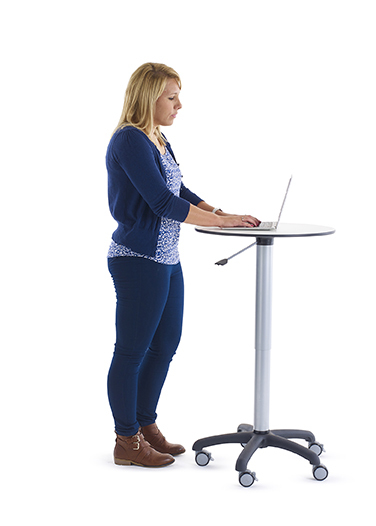 The Sit/Stand table has a very hard wearing compact laminate top to ensure that it can stand up the rigors of an educational environment.